Telefon: 906 21 620 (betjenes mellom kl 0900 og 1500 mandag til fredag. Alfheim Swimming Hall (svømmehall) and Stakkevollan Swimming Hall offer swimming throughout the year. Click on their links in the lefthand menu for further information. 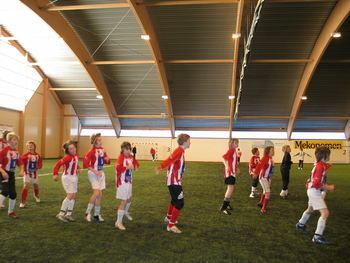 There are five sports halls (idrettshall) in the municipality, offering a number of physical activities. Tromsdalen kunstisbane is the name of the ice skating rink.